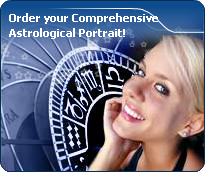 You will find below the horoscope of Pamela Stephenson with her interactive chart, an excerpt of her astrological portrait and her planetary dominants. If you know the time of birth of Pamela Stephenson, we would appreciate it if you would send us your information with your source, at stars@astrotheme.com. To thank you for contributing to the enhancement of our astrological database, we shall be glad to send you the astrological portrait (34 pages) of this celebrity. Horoscopes having the same aspect Mercury square Saturn (orb 0°36'): Hillary Clinton, Sharon Stone, Isaac Newton, Chris Evans (actor), Adriana Lima, Adriana Karembeu, Woody Allen, Warren Buffett, Florent Pagny, Priyanka Chopra, Vin Diesel, Bill Kaulitz... Find all the celebrities having this aspect. Celebrities clicked on in real-time: 576,812,618 times. Pamela Helen Stephenson Connolly (born 4 December 1949) is a New Zealand clinical psychologist, writer and actress who is now a resident in both the United Kingdom and United States. She is best known for her work as an actress and comedian during the 1980s. She has written several books, which include a biography of her husband Billy Connolly, and presented a psychology-based interview show called Shrink Rap on British television. Stephenson was born in Takapuna, Auckland, New Zealand. She moved to Australia in 1964 and attended the University of New South Wales and then Australia's National Institute of Dramatic Art, from which she graduated in 1971. Here are some character traits from Pamela Stephenson's birth chart. This description is far from being comprehensive but it can shed light on his/her personality, which is still interesting for professional astrologers or astrology lovers. In a matter of minutes, you can get at your email address your astrological portrait (approximately 32 pages), a much more comprehensive report than this portrait of Pamela Stephenson. Warning: when the birth time is unknown, which is the case for Pamela Stephenson, a few paragraphs become irrelevant; distributions in hemispheres and quadrants are meaningless, so are dominant houses and houses' accentuations. Therefore, some chapters are removed from this part. Like the majority of Earth signs, Pamela Stephenson, you are efficient, concrete and not too emotional. What matters to you is what you see: you judge the tree by its fruits. Your ideas keep changing, words disappear, but actions and their consequences are visible and remain. Express your sensitivity, even if it means revealing your vulnerability. Emotions, energy and communication must not be neglected; concrete action is meaningless if it is not justified by your heart, your intellect or your enthusiasm. Pamela Stephenson, Fire is dominant in your natal chart and endows you with intuition, energy, courage, self-confidence, and enthusiasm! You are inclined to be passionate, you assert your willpower, you move forward, and come hell or high water, you achieve your dreams and your goals. The relative weakness of this element is the difficulty to step back or a kind of boldness that may prompt you to do foolish things. Your natal chart shows a lack of the Water element, with only 3.93% instead of the average 25%. Whether you are aware of it or not, affective values bring about problems, for you or your close friends. In general, a lack of Water does not necessarily mean that you are unable to love as much as others do. However, you may find it difficult to express the deepness of your heart and of your feelings. In the best cases, you come to terms with it, you adjust, you manage to show more affection or, why not, you pretend to be really affected! In the worst cases, you get into the terrible habit of repressing these essential values and you tend to forget that they are the basis of the richest and strongest bonds between human beings. The Mutable mode is the most emphasized one in your natal chart, Pamela Stephenson, which indicates a mobile character that is curious and thirsty for new experiences and evolution. You are lively and flexible, and you like to react quickly to solicitations, but don't confuse mobility with agitation, since this is the danger with this configuration - and with you, stagnation is out of the question. Security doesn't matter as long as you are not bored. You optimize, you change things, you change yourself... all this in a speedy way. In your natal chart, the three most important signs - according to criteria mentioned above - are in decreasing order of strength Sagittarius, Virgo and Taurus. In general, these signs are important because your Ascendant or your Sun is located there. But this is not always the case: there may be a cluster of planets, or a planet may be near an angle other than the Midheaven or Ascendant. It may also be because two or three planets are considered to be very active because they form numerous aspects from these signs. After this paragraph about dominant planets, of Pamela Stephenson, here are the character traits that you must read more carefully than the previous texts since they are very specific: the texts about dominant planets only give background information about the personality and remain quite general: they emphasize or, on the contrary, mitigate different particularities or facets of a personality. A human being is a complex whole and only bodies of texts can attempt to successfully figure out all the finer points. Your thirst for learning is considerable, Pamela Stephenson, and you can spend a lifetime studying languages, geography, philosophy and law, particularly. You are open-minded and you want to abolish all kinds of frontiers. The humanist, who is dormant in you, may turn into a “frequent traveller” reaching out to others in order to understand them and communicate with them. You express your opinions and your beliefs with honesty and clarity and likewise, you receive others' views with enthusiasm. You have numerous centres of interest and you may be perceived to be superficial, heedless and over-optimistic. However, if you manage to control your tendency to scattering, all your encounters, all your discoveries can positively influence your philosophical life approach. Pamela Stephenson, it is obvious that you do not easily fall in love. But when you do, your feelings are deep, quiet, serious, and above all, lasting. Your need for security is indispensable for your well being and to enable you to give. You offer security and stability with your sense of duty even though you mix up responsibility and love. The charm of your partner does not only include physical features or aroused sentimental attraction, but also intellectual and moral qualities: you fiercely need authenticity and seriousness because this is the way you are. In general, your loves are not numerous and you become able to express yourself quite late in life. Your quiet and stable feelings are really worth it. If you do not get what you want, the danger is that you may seek refuge in cynicism and that you isolate yourself. Pamela Stephenson, you skilfully make use of your energy and you are like the arrow that reaches its target with great precision: with piercing eye and sharp mind, you take action meticulously and efficiently. Like the surgeon with his scalpel, you know exactly what you want and you belong to the category of specialists, not the generalists. Critical, pernickety, extremely organized, you want to foresee and to analyze. You prefer to master your business too well rather than not enough, even if you must put a huge, sustained, long lasting effort into it. Sexually, you remain fanatical about cleanliness. You may be prone to fantasies such as fetishism. Your love life is fine if you avoid the unforeseen events that you loathe. This text is only an excerpt from of Pamela Stephenson's portrait. We hope that it will arouse your curiosity, and that it will prompt you to deepen your knowledge of astrology, as well as to visit and use the wide range of free applications at www.astrotheme.com.